That's the Circle K Way! Would you like to be part of the largest college orginazation in the world? Would you like to help make the world better for tomorrow's children? Would you like to be able to call 10,000 college students your friends? Would you like to help your community through service and leadership? If you answered yes to any of these questions, then look no further. 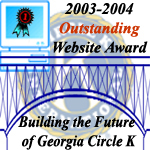 East Georgia College's Circle K Club is the home for you. 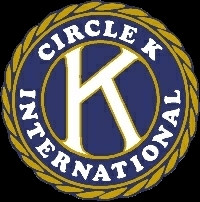 Check out our new website to find out more information about Circle K International and the EGC Club. We would like to thank the Kiwanis Club of Swainsboro for all their help and support this year. Without all your help and encouragement we would not be where we are today. Thank You!